No one knows why the Grand Finale does not like Rikishi he just does. 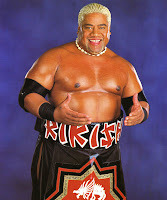 So just to piss him off some more I decided to call this show Rikishi. We hope you enjoy this show and stay sharp.